On the 4th (Sat), take in the spiritual surroundings of Durga Mandir Temple, then don't miss a visit to Garjiya Devi Temple, and then contemplate the waterfront views at Kosi River. Here are some ideas for day two: take an exotic tour of a safari tour. To see photos, traveler tips, more things to do, and tourist information, refer to the Jim Corbett National Park trip planner. 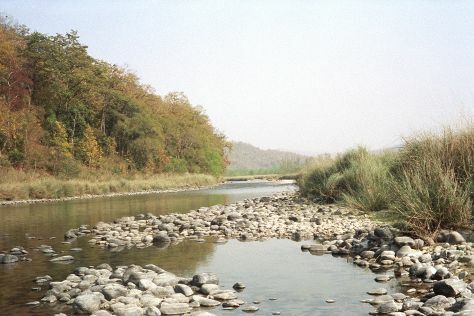 Hyderabad to Jim Corbett National Park is an approximately 12-hour flight. You can also drive. 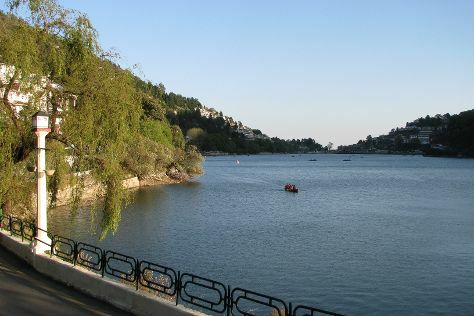 On the 5th (Sun), wrap the sightseeing up by early afternoon so you can travel to Nainital. Start off your visit on the 6th (Mon): contemplate in the serene atmosphere at Goddess Naina Devi, explore the activities along Nainital Lake, then browse the eclectic array of goods at Tibetan Market, and finally tour the pleasant surroundings at High Altitude Zoo. On the 7th (Tue), you'll have a packed day of sightseeing: take some stellar pictures from Snow View Point, contemplate the waterfront views at Naukuchiatal Lake, and then explore the activities along Bhimtal Lake. To see maps, other places to visit, traveler tips, and other tourist information, you can read our Nainital online road trip planner . Explore your travel options from Jim Corbett National Park to Nainital with the Route module. Wrap up your sightseeing by early afternoon on the 8th (Wed) to allow enough time to travel back home.